Just over two years after shaking up the city of Boston, Dzhokhar Tsarnaev received his sentencing for participating with his now deceased brother in the 2013 Boston Marathon bombing, a tragic event that would leave three dead and over 260 injured. Unlike most defenses, this particular case did not entertain the possibility of Tsarnaev’s innocence. Judy Clarke, Tsarnaev’s attorney began her statement by stating, “It was him.” This was the beginning of a trial that would eventually lead to Tsarnaev being issued the ultimate punishment. On May 15th, 2015, the 21-year-old became the youngest person on death row. 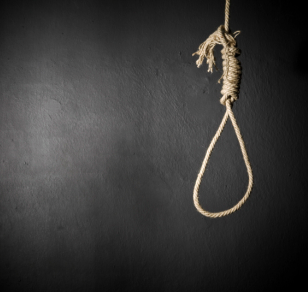 While the state of Massachusetts has outlawed the death penalty since 1984, capital punishment can still be issued on federal charges, overriding any state’s stance on this form of punishment. The logic that the defense presented focused on portraying Dzhokhar Tsarnaev, the younger of the two brothers, as simply following the directions of his older brother who had died in the days during the manhunt for the duo. The horrors that erupted in “Beantown” during that day in April in 2013 cannot be reconciled with the death of yet another person. The issue with retributive punishment is that more often than not, emotions fuel the tension that ultimately influence any decision that is made for a sentencing. There are a number of reasons, however, that must contribute to making an argument on behalf of even the most nefarious actions that humanity faces. One of the most common, yet unstable, arguments in favor of the death penalty take the following form: it is cheaper to kill someone than to keep them in prison for life. This is not exactly true. Extensive studies have shown that capital punishment may actually be more expensive than keeping someone in prison for life. Although the actually price of the lethal injection, or other mode of termination, may be cheaper, the entire process of carrying a death penalty case to term ends up becoming more costly to taxpayers than sentencing someone to life in prison. There is, however, a more important ethical issue at play here. In a capitalist society, economic arguments are often the first that citizens look to when making decisions; however, there are times when there are far more important reasons as to why one ought to behave in a certain manner as opposed to another. For instance, there are numerous reasons why one should not murder someone. Suggesting that the murderer may risk getting arthritis from all the necks that are strangled seems to be fairly low on the factors to consider. In other words, it is a reason, but certainly not the most important variable to consider when talking about a life. The next largest issue is the setup of the jury in American courts. There is a thorough screening process that all potential jurors must successfully pass before being selected to serve on a jury, particularly in highly sensitive cases, such as the one on the Boston Marathon bombing. One of these circumstances in cases involving the possibility of the death penalty includes ensuring that all jurors are “death-qualified”, essentially meaning that the jurors must be able to be convinced either way depending on the evidence. While this initially appears to be a sound policy, it quickly falls through when one carefully inspects it for what it is. Jurors will not be selected if they are staunchly for or against the death penalty. Either stance automatically disqualifies them from participating in this process. In other words, the American judicial system punishes and discriminates against those intellectually curious who have spent the time to hash out a stance, whatever that may be. Thus, the congregation of jurors that are selected are already those who are considering the possibility of sentencing someone to death, thus introducing a bias. These jurors thereby do not actually represent the members of the American public, a public that is at the point of lowest support for the death penalty since 1972. However, at the end of the day, the jury unanimously decided that Tsarnaev deserved the death penalty. If even one juror disagreed, the criminal would have been sentenced to life in prison. Yet the jurors succumbed to the vengeance and emotions that saturated the courtroom in a decision of retributive punishment, a barbaric punishment that will be frowned upon in the years to come. If one juror had taken a stand on that one day, a person would have been able to stand for years to come. This article was written by Amar Ojha, founder and writer at dusk magazine.